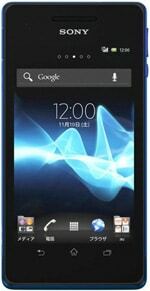 The Sony Xperia VL is similar to the Xperia V and is available only in Japan. The device is dust and water resistant, sports Sony’s distinctive arc design and is LTE enabled. A 4.3-inch 1280 by 720 screen, powered by Mobile Bravia Engine 2, and a 13MP fast-capture camera are driven by a 1.5GHz Snapdragon S4 processor running Android 4.0 ‘Ice Cream Sandwich’. The Xperia VL was announced in October 2012 and started shipping at the end of the year.